The Tree of Life led the 15th annual Online Film Critics Society nominations today with seven mentions, including Best Picture, Best Director, Best Original Screenplay, Best Supporting Actor (Brad Pitt), and Best Supporting Actress (Jessica Chastain). 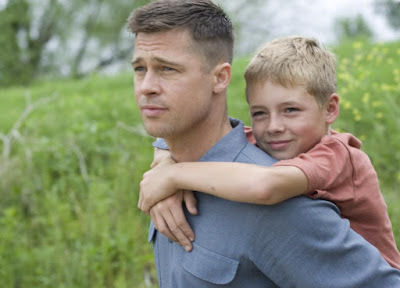 Brad Pitt and Laramie Eppler in the Tree of Life. Excellent choices from your organization here Matthew!! !